Looking for a meeting room in Schaumburg to host your next conference or family party? Our venue is ideal for professional and private events alike, coupled with our on-site audiovisual and catering services. 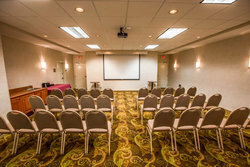 Comfort Suites Schaumburg is pleased to offer a multi-purpose meeting room in Schaumburg, IL, perfect for your professional and social events. 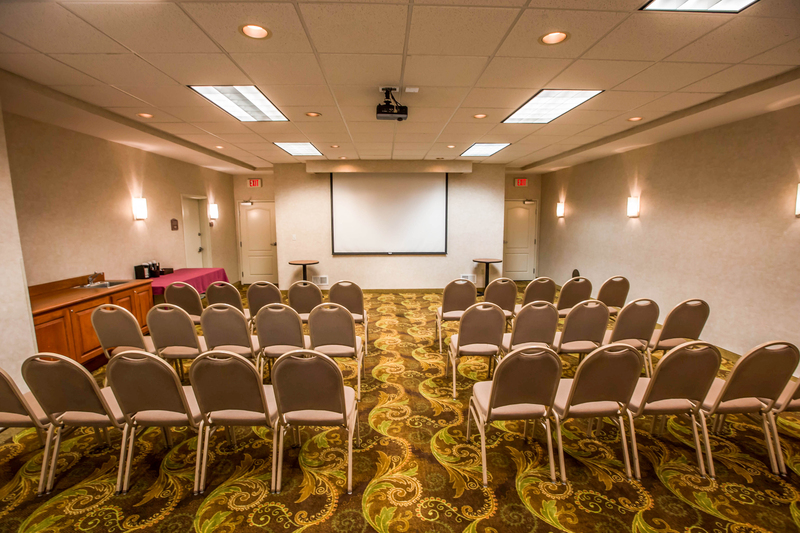 For business professionals, our high definition LCD projector and screen allows you to host engaging conferences and meetings, while our high-speed internet allows multiple laptops to connect at once. Additional audio/visual requirement are also available upon request. 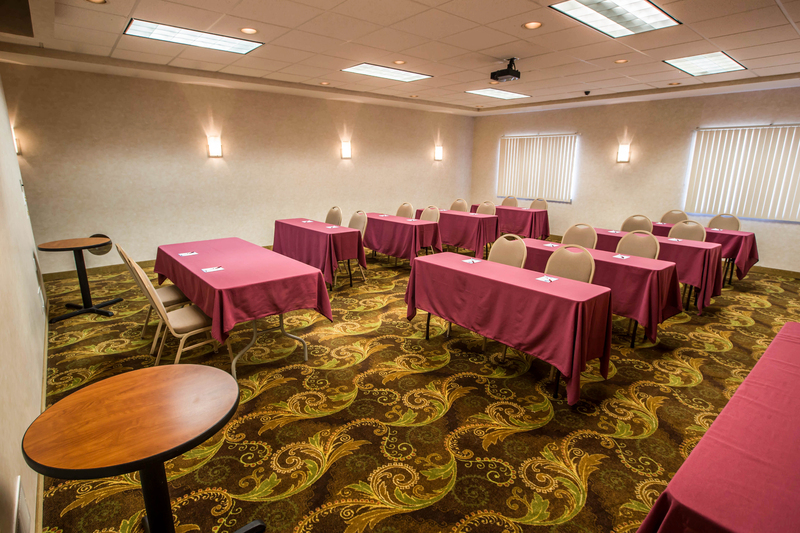 Contact our team today so we can help you plan the perfect presentation! 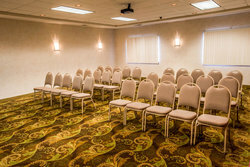 Our meeting space in Schaumburg can be accommodated with the following configurations. 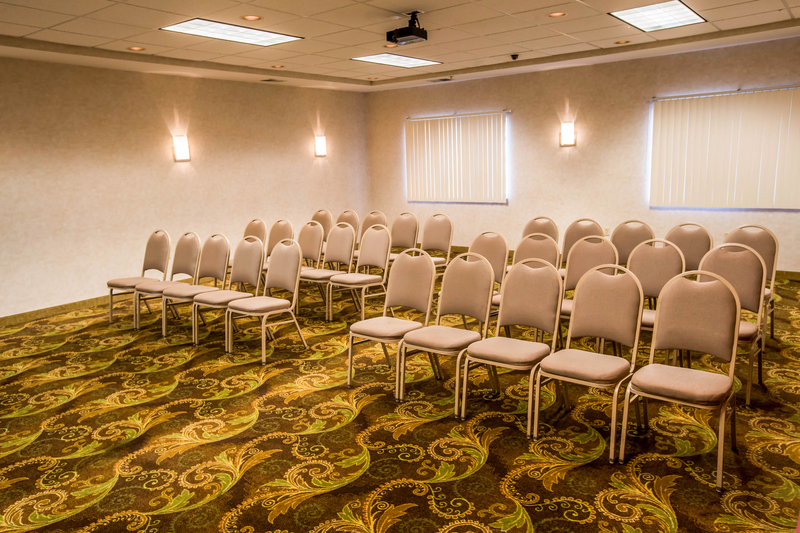 Our event space is the perfect place to host your next Scaumburg event! Our professional team can help with everything from flowers to food, ensuring you focus on having fun at your event.